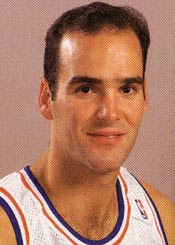 Has anybody filed a Missing Persons Report for one Mr. Danny Ferry? Maybe he hasn't realized that the summer "vacation" is over and free agency came.... and basically went. "Brevin Knight signs free agent deal with..." go to commercial... DAMN IT! Back from commercials... ticker starts over.... BASTARDS! NBA subheader comes up.... nothing on Brevin Knight... mother f#cker! Go through the whole ticker again.... NBA... Brevin Knight signs with the... Clippers? Huh? We can't attract a free agent like Brevin Knight to a team that went to the championship, has Lebron, and for who he's already played with? Who knows if Knight was on the radar screen... but I ask why not? 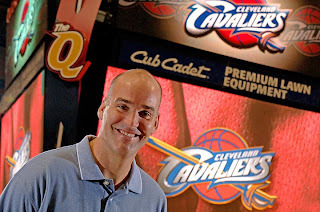 We don't need a scoring PG... we need someone who doesn't turn the ball over,makes good decisions, and plays defense... we need Eric Snow, younger, quicker, and a with a better shot. Brevin Knight. It's not even Brevin Knight... its that I see all these teams getting better (especially in the East)... and the Cavs standing pat, resting on their improbable run last year. Does anyone look at this team and say they're confident they will make it back to, let alone win, the NBA championship? "How do you spell 'retard'?" Pluto to the PD? True.